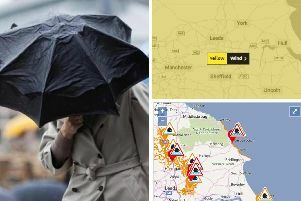 The Met Office has issued another yellow weather warning for the rest of today (Wednesday January 21) and tomorrow (Thursday January 22). Although snowfall is expected to die out through this afternoon and this evening but icy conditions are expected to continue. Let us know if it snows where you are and send your pictures to news@harrogateadvertiser.co.uk or find us on Facebook or Twitter.